Prof. Mario Monteiro received one of RBC’s Top 25 Immigrant Awards on June 19. The awards are a people’s choice awards program that recognizes inspirational immigrants who have made a positive impact on their communities since arriving in Canada. Monteiro was featured in a recent Canadian Immigrant article that called him one of the world’s most influential vaccine researchers. He immigrated to Canada from Portugal in 1981 and entered Grade 9 without knowing much about opportunities for post-secondary education and careers. Now Monteiro is a professor in the Department of Chemistry. 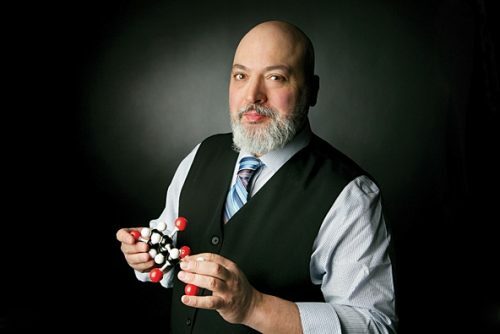 He said he likes to share stories about his journey with his students at U of G.
As part of his research, Monteiro has identified key molecules that prevent bacterial infections responsible for deadly diarrhea in humans. He has developed a vaccine that targets surface molecules on C. difficile to control infection and colonization levels. The first vaccine he developed targets Campylobacter infections and was the first to show 100-per-cent efficacy.